The following development types are suitable for the RiskSMART process. We enjoy a strong professional relationship with the BCC RiskSMART team and our accredited consultants expertise will ensure your development approval is delivered promptly. Brisbane City Council’s RiskSMART process streamlines the assessment and approval of selected low-risk development applications, resulting in significantly reduced timeframes to process and approve applications. Approvals can be achieved in Brisbane within 5 days from lodgement. Brisbane City Council has established the “Risk-Smart” (DA) Development process to fast track Development Applications and as a tool to reduce regulation within the development industry. Furthermore, the process offers a 30% discount on Council application fees for RiskSMART applications. 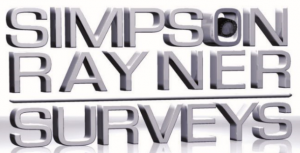 Enquire today and ensure the faster approval with Simpson Rayner Surveys.